BigCommerce Development is one of the best shopping cart options that can buck up your business returns and help you stand an edge ahead of your competitors. The shopping cart is also friendly to search engine optimization. So if you want to come up with an online store that perfectly syncs with the consumer preferences; our bigcommerce customisation solutions can totally work wonders for your business. At Sam Web Studios we are one of the best BigCommerce Customisation Company in Delh. So you can always rely on us for prolific services that perfectly comply with the highest standards in business. Our team of experts thoroughly assists in BigCommerce development, thereby positioning you well both for the short and long term success. Our BigCommerce customization solutions bucks up the efficiency of your business and lets you avail the best returns on investment. We have been providing big commerce customization solutions for the last many years, perfectly living by the standards and requirements of our customers. We customize your big commerce store as per your preference, thereby coming up with store designs and structures that are both high-end and attractive. We aim to attain ultimate customer satisfaction, so we provide services that can totally work wonders for you business. Our competent team of Bigcommerce Developers has delivered some of the most exceptional e-commerce solutions. Thus, you can always trust us for high quality and affordable services. We believe that BigCommerce stores can enjoy better business and commendable performance if the store-owners live by the latest trends and customer preferences. Our store enhancement options will allow better marketing, increase the number of customers and convert the regular store visits to 'real' sales. Our Big Commerce developers will assist in high-end template customization services thereby improving your store presentation and bucking up your sales. Following are some of the BigCommerce customization solutions we provide. Customization of the big commerce templates. Improving the entire design of your big commerce store. We will redesign the color, font alterations and layout of your store. Customization of the photo galleries, forms and banner graphics. Customization of the Main home page, product listing pages, category pages and any other page required by the customer. Coming up with rotation banners. Designing and customizing the landing page. Customizing the graphics of the banners. With these handy and effective services, we aim to provide you the best returns from big ecommerce development. Our team will hear about your requirements and strive to provide you the very best. Why choose our Bicommerce customisation services? Being experienced in bigecommerce development, we provide professional quality services. We provide perfectly customized bigcommerce stores under the given time-frame. Our services are quick and affordable. Our team can assist you with any kind of bigcommerce customisation solution. 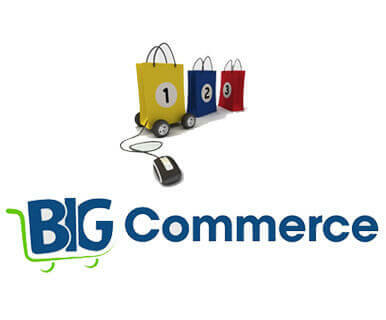 So wait no longer and simply visit us, to avail the best Bigcommerce development and customization solutions in Delhi. Our professionals will always live up to your requirements by providing the highest quality services, on the go.